$1 Inspirational & Christian Fiction Deal! 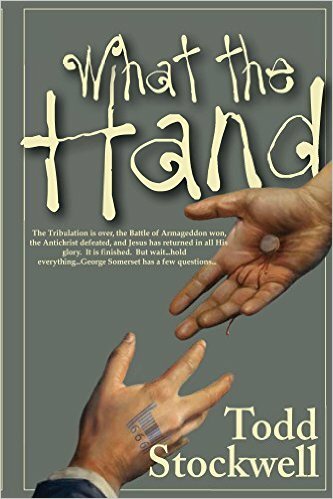 *What the Hand: A Novel About the End of the World and Beyond (Deal, Not Free) by Todd Stockwell. Price: $0.99. Genre: Christian Historical Fiction Deal, Sponsor, End Times, Conspiracy Theories & Armageddon, Inspirational Fiction. Rated: 4.8 stars on 15 Reviews. 325 pages. ASIN: B00MG14B1U. Reviewers love it: A fun way to read about religion! I could see both the believers and non-believers enjoying this book! Political, spiritual and historical, all with a good dollop of tongue-in-cheek! Fascinating! So impressed with this novel! Five stars! *The Guardian by Robbie Cheuvront. Price: Free. Genre: Christian Mystery, Suspense, United States. Rated: 4.4 stars on 34 Reviews. 458 pages. ASIN: B005HA9Z2W.